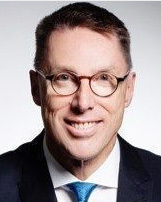 Mr. Baldwin, 53, Australian, has been a Director of EDC since October 2017. He is also a Senior Managing Director at Macquarie Infrastructure and Real Assets, where he is the Head of power, renewable and utility businesses across Asia. MIRA is the world’s largest infrastructure asset manager and has approximately 11GW of renewable energy investments under management. Prior to joining MIRA, Mr Baldwin was CEO, Integrated Gas at Origin Energy, where he successfully led the delivery of the $25 billion Australia Pacific LNG project. Prior to this, he was CEO of Contact Energy, one of New Zealand’s largest integrated energy companies with more than 2,000MW of geothermal, hydroelectric and gas-fired generation, and approximately 600,000 customers. Prior to his role at Contact, Mr Baldwin was a senior executive at MidAmerican Energy (now Berkshire Hathaway Energy) in the Philippines and the United States, with responsibilities that included the delivery and operation of 650MW of geothermal and hydroelectric power in the Philippines; and Project Director at SouthPac Corporation (AsiaPower Developments) with responsibility for the development of the Wayang Windu geothermal project in Indonesia. Mr Baldwin started his career with Shell where he held project development and operational management roles in New Zealand and the Netherlands. He has been a director of private and listed companies including Contact Energy, Australia Pacific LNG, the Australian Petroleum Production & Exploration Association, Queensland Resources Council, and Energia Andina (Chile). He has 30 years of experience developing and operating industrial, energy and resource companies in Europe, Asia, Australaisa, and the US, as well as 15 years leading listed and private businesses. Mr. Baldwin has an MBA from the Victoria University of Wellington (1994) and an undergraduate degree in Chemical Engineering from the University of Canterbury (1985).